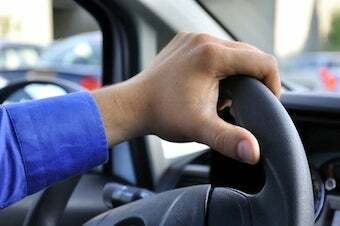 Despite men being only 57 percent of registered drivers, male drivers are responsible for 80 percent of fatal or near-fatal car accidents in New York City, according to a new report. Any other myths about women and driving to debunk? Well, yes. And it goes way beyond New York City. Researchers with the Social Issues Resource Center beg to differ [that women are worse drivers]. Its 2002 report analyzed a stack of studies on male and female driving differences and came to a bold conclusion: "In all studies and analyses, without exception, men have been shown to have a higher rate of crashes than women." That's true even when you adjust for the fact that men tend to drive more miles on average than women. It's largely because studies show men tend to exhibit more reckless road behavior — speeding, driving drunk, running stop signs — than women. More recently, a 2007 Carnegie Mellon study for Triple A analyzed road fatalities and found that "male drivers have a 77 percent higher risk of dying in a car accident than women, based on miles driven." Of course, many of the stereotypes about female drivers revolve around an excess of cautious or lack of decisiveness, leading to allegedly poor or erratic decision-making. But given how often we're told we're bad drivers, can you blame us for occasionally lacking confidence on the road?